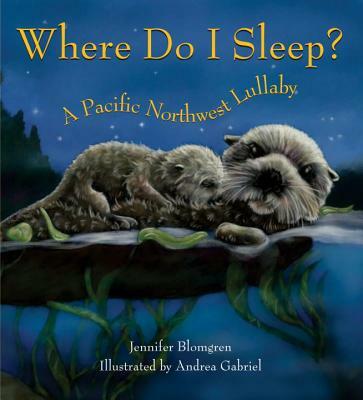 This beautifully illustrated lullaby book features shimmering salmon fry, a long-legged baby moose, feathery eaglets, and fifteen other Northwest animals bedding down for the night (or day!). Rhythmic and soothing four-line stanzas describe the animals' habitatas and sleeping patterns. Children will love learning about the familiar creatures in this special book. Jennifer Blomgren and Andrea Gabriel also collaborated on Where Would I Be in an Evergreen Tree? Blomgren lives in Port Townsend, WA. Gabriel lives in Bellingham, WA.